To be accepted into the Elite Athlete Program, athletes must meet the standards listed below. 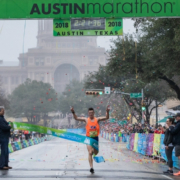 Joey Whelan is the 2018 Austin Marathon champion. He lives in Spring Branch, Texas, 60 miles south of Austin. He works for my family’s land clearing company where they specialize in rock crushing. He grew up in Buffalo, New York, and was a student-athlete at Syracuse University. While competing for Syracuse, he qualified for four NCAA Championships in cross country. 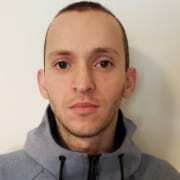 He currently runs for Nike Stotan Racing and is coached by John Aris. He enjoys traveling and all Buffalo sports. He has qualified for the 2020 Olympic Marathon Trials. Daniel Bishop was born and raised in Salt Lake City. He attended the University of Utah and received his BS in Exercise and Sport Science. In August, Bishop moved to Boise, Idaho, where he started medical school at the Idaho College of Osteopathic Medicine. On September 7th, he married his wife, Kelli, who has graciously relocated to Boise with me. 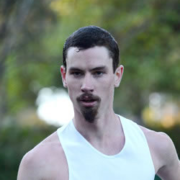 As far as running goes, he continues to train for races in the midst of his studies. 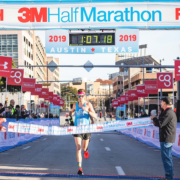 Bishop finished 3rd place at the 2018 Austin Marathon (2:26:27). Heather Lieberg is from Helena, Montana, and has lived there her entire life. In addition to running at a competitive level, she is a second-grade teacher at Jefferson Elementary. Lieberg received her Master’s degree in Science Education a few years ago. She has been blessed with three amazing children, a wonderful husband, and their newest addition… a rottweiler puppy! Lieberg started running in her 30s and is lucky to have found an activity that has brought her so many amazing opportunities and balance to her life. In addition to running, she loves to cook, travel and spend time with her family! Jameson Mora is a not just a runner and a 2x Olympic Marathon Trials qualifier, he is a husband and father. He has three kids and one more on the way! He loves his wife and appreciates that his family 100% supports his running. Mora’s first race was a local 5K with his dad at 4 years old. He fell in love with the sport immediately and has been running competitively ever since. Jameson graduated from Cal Poly SLO with a degree in Mechanical Engineering and now lives in Mammoth Lakes where he runs a family business. 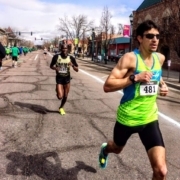 Mora provides online running coaching and enjoys helping people attain their running goals. 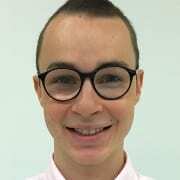 Will Christian was born in Portsmouth, Virginia, but grew up in several different places due to his father being in the United States Navy. He graduated from the University of Virginia in 2006 and served six years active duty in the U.S. Navy. He’s currently serving in the U.S. Navy Reserves. Christian is employed as an engineer for the City of Virginia Beach. He’s happily married. He and his wife have a two-year-old son and are expecting their second child in May of 2019! He enjoys daring activities, like skydiving, scuba diving, and zip lining. 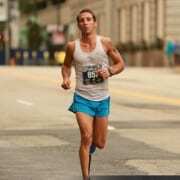 Patrick Rizzo is one of the most decorated and versatile distance runners in the United States. In December 2017, he ran 2:17:27 at the U.S. Marathon Championship in Sacramento, California to become a four-time Olympic Trials qualifier in the marathon. Patrick has top 10 finishes at U.S. Championship distances for 8K, 20K, the half-marathon, and the marathon. He set his marathon personal best of 2:13:42 at the U.S. Olympic Trials in Houston in 2012, finishing 13th. 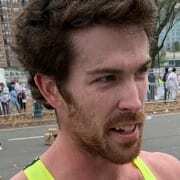 Internationally, he has had top finishes in the London Marathon (11th), the Ohme 30K in Tokyo, Japan (3rd), and when representing Team USA at the 2011 Pan American Games in Guadalajara, Mexico, where he finished 8th. Patrick lives and trains at altitude in Colorado Springs, CO with his wife, Emily, and son, Judah. 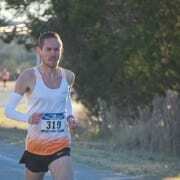 Michael Morris has ran competitively since 2004 when he started running for Wills Point High School. After a successful high school career, he ran for Texas State University. While there, Morris set the school record in the steeplechase (9:02). After graduating, he began coaching at San Marcos High School where he is the head cross country and track coach. Arturs Bareikis has been running for 10 years. His best times are 2:23:15 (marathon) and 1:07:13 (half). He has completed the marathon more then 30+ times and loves that distance because no matter if you are fast or slow, it challenges everyone the same way. You never know what could happen in 26.2 miles. He is excited to run in Austin and looks forward to the race experience. Mizael Carrera was born and raised in Chicago and was fortunate to get a scholarship to attend Robert Morris University. He began with a 22:30 5K and has continued to make great improvements. During college, he became 2x NAIA Cross Country All-American. 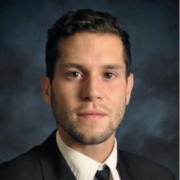 Additionally, Carrera has a master’s degree in sport management and is currently in his second year of law school. 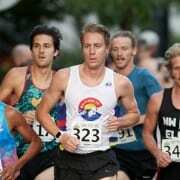 As he continues to improve, his goal is to qualify for the 2020 Olympic Marathon Trials. Patrick Geoghegan is a graduate of Syracuse University, where he ran cross country and track. He earned a bachelor’s and master’s from the school education, which kicked off seven years of work as an ESL teacher. Geoghegan currently slive and works in Portland, Oregon. Since graduating, he has collected personal bests of 14:21 (5K), 29:51 (10K), 65:38 (half), and 2:19:38 (marathon). He’s looking forward to his first time in Austin! Khrystyna Bohomiahkova is completely and utterly infatuated with athletics, in particular, running marathons. 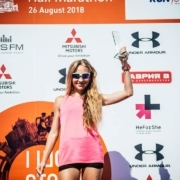 In 2018, she was invited to run a 50K ultra marathon in China. Even though it was a new experience for her, she came in second. It is one of the most powerful experiences of her life. Her husband is also an athlete and they have a 2-year-old daughter. She is also a trainer at Stayer Run Odessa. Beth Marzigliano has been competitively running for more than 15 years. She ran collegiately at LaSalle University and currently runs for the Shore AC in New Jersey. Her ultimate dream goal is to run an Olympic Trials qualifying time. When she’s not running, Marzigliano enjoys hanging out with her family. Marzigliano and her husband had a baby in April 2018. She loves being a Mom. Marzigliano and her husband have never been to Austin so they’re looking forward to checking out the city. 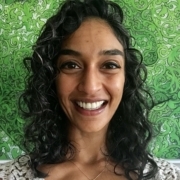 Nadia Tamby is a chemical engineer who has been working on environmental compliance for 10 years at various tech companies in Austin. She has always loved running as a way to relieve stress, stay healthy, and meet people. She ran for fun in high school and stumbled upon longer distances in college at The University of Texas (mostly by getting lost). Since then, Nadia has enjoyed running more competitively and runs 1-2 marathons per year. Other than running, Nadia loves to cook, travel, read, cross-train, host dinner parties, and make strong cocktails! Tamby trains with Gilbert’s Gazelles. 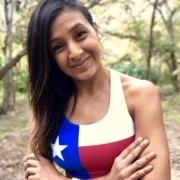 She’s excited about racing in her hometown again – this will be her 4th time running the Austin Marathon! 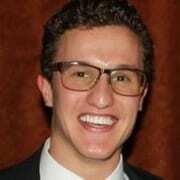 Michael Ellenberger is a third-year (“3L”) law student at Northwestern Pritzker School of Law in Chicago. 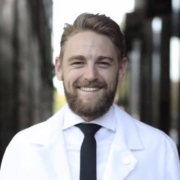 He has a background in biochemistry and an interest in patent litigation. Ellenberger ran collegiately at Washington University in St. Louis. He has a 10K PR of 30:21. 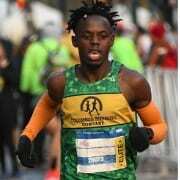 Recently, he finished fourth at the Run Mag Mile 10K in 31:27 and second in the Chicago Half Marathon in 1:07:43. In 2017, he was the top Illinois finisher at the Boston Marathon (82nd overall) in 2:33:03. Goose Pedraza started running at the age of 16 and ran D-II at University of Texas-Permian Basin. He competed in events from steeplechase to the 10K, but is now focusing on the marathon. He lives in San Marcos with his girlfriend, their dog Domino, and soon enough their newborn daughter. Mitchell Germann is from Liberty Hill, Texas. Germann graduated from The University of Texas with a B.S. in Mechanical Engineering in December 2018. He works for Lockheed Martin as an Aeronautical Engineer in Fort Worth. While at UT, he ran with the Texas Running Club. 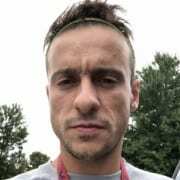 Germann won the 2018 Decker Challenge Half Marathon (1:16:11) and finished 2nd in 2017. This will be his second marathon. Jocelyn Todd, originally from St. Louis Missouri, is an elite long-distance runner in Salt Lake City. Her recent accomplishments include qualifying for the 2020 Olympic Marathon Trials with a time of 2:39:23, winning the 2018 Deseret News 10K (32:30) against a stacked field, and winning the 2018 St. Louis Half Marathon. She previously ran in college for the University of Iowa and the University of Utah. She is currently a Ph.D. student in Biomedical Engineering. 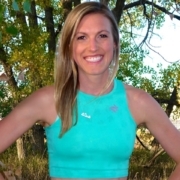 Megan Smith is a physical therapist and runner based in Denver. She grew up in the land of 10,000 lakes (Minnesota) where she competed in NCAA DIII cross country, track (5K/steeplechase), and Nordic skiing. She loves the outdoors, so when she’s not running you’ll find her adventuring in the beautiful Rocky Mountains. Samantha Calderon is a 2020 Olympic Marathon Trials qualifier and 3x NCAA All-American. 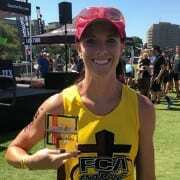 She now trains with Run Boulder AC with coach Kathy Butler. Calderon lives in Boulder, Colorado, with her husband and my dog, Chardonnay. She lover cooking, baking, reading, and of course Running! Ryan Miller grew up in the small hill country town of Boerne, Texas and attended Boerne Samuel V. Champion High School. While there, he was a member of the 2008 and 2009 UIL 4A State Championship teams, as well as the 2009 Nike Cross Nationals Champion team. Shortly after graduating from Texas A&M in the spring of 2015, he qualified for the 2016 Olympic Marathon Trials, but did not compete because of an emergency appendectomy three days before the race. 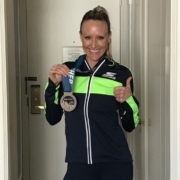 Miller has recently set PRs of 1:04:06 at the 2018 Indianapolis Monumental Half Marathon and 2:14:27 at the California International Marathon, qualifying for the 2020 United States Olympic Marathon Trials. He currently and lives in San Antonio, Texas, works as a Supply Chain Manager at USAA Federal Savings Bank. He married Lacie, the love of his life, in September 2018. Sarah Pease started running in 7th grade and ran cross country and track in high school. She walked on at Indiana University and ended up being a 3x All-American. She competed in the 2012 and 2016 Olympic Trials in the steeplechase. Her next goal is to race the 2020 Olympic Trials in the marathon and 10K on the track. She currently trains in Bloomington, Indiana, and volunteer coaches at Indiana University. Austin is like her second home. She trained with Rogue AC for almost 3 years and also met her husband in Austin! 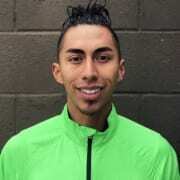 Amongst being a runner, Julian Florez is an artist and works full time at Heart & Sole Sports, a local running company. Collegiately, Julian climbed the ranks from a walk-on at GCC a junior college, to compete at the NCAA DII level for Adams State, and eventually the NCAA DI level at UNM. Following his collegiate career, Julian turned his heads towards the roads. This past fall he ran his debut marathon at CIM. He ran a time of 2:16:06 guaranteeing him a spot on the starting line at the 2020 Olympic Marathon Trials. Fun Fact: Julian has set a PR every year since he began running at the age of 13! 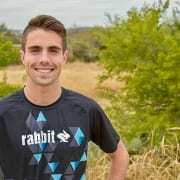 Mike Lowe is 23-year-old distance runner living in Austin. He ran track and cross country for four years at the University of North Texas. He graduated in May of 2018. 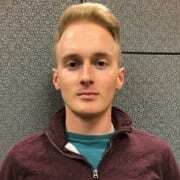 He has since moved to Austin where he continued running competitively, transitioning to the roads and moving up to the half marathon distance. His future goals include competing at the World Cross Country Championships and World Half Marathon Championships. Kimi Reed is from Springfield, Missouri. 2018 was her best year of post-collegiate running yet! 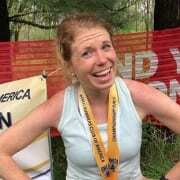 She finished 7th place in the Boston Marathon elite field. She ran a PR (1:14:43) at the half marathon in Duluth, Minnesota, this past summer. Lastly, she finished off the year with a 13th place finish at the USATF Marathon Championships with a PR of 2:35:28. This earned her the A Standard to compete in the 2020 Olympic Marathon Trials. Jane Bareikis is relatively new to running, she just started in 2017. Her favorite distance is the half marathon, but she also loves the marathon. 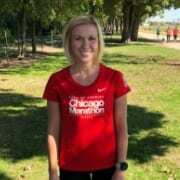 In 2018, she ran her first marathon in Chicago in 2:42:38. What she loves most about running is how runners are always friendly and we understand each other. Callie Bartel always considered herself to be a mediocre runner. She never went to state in high school. She ran in college and was on the scoring team, but was never All-Conference. However, after graduate school, Bartel began working with her current coach and saw her times improve. She is better than mediocre now. Bartel is a Wisconsin runner with some big goals. She chased a sub-3 marathon for three years and is now on the hunt for an OTQ. 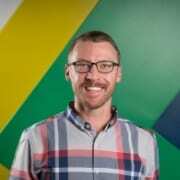 Originally from Orlando, Chris Cabret now lives in Gainesville, Florida, where he has been for more than a year. Chris ran at the DII cross country/track and field level for a year. Running has allowed him to do what he loves on a daily basis and there is still a lot of room to improve. Cabret is looking to run the Austin Half Marathon at a personal best time and see if the marathon is next. Bobby Thompson is a social studies teacher at Crawfordsville Middle School in Indiana. Every day after teaching, he coaches cross country and track at Wabash College. Since graduating from Wabash in 2014 as a soccer and track athlete, he has had both of these jobs. While in college and now as a post-collegiate runner, he loves to compete and travel. In his personal life, he was recently engaged to his beautiful fiancé, Paige. They have two Labrador puppies, Luna and Lily. Natasha van der Merwe is a transplant from South Africa, mother to a 2-year-old daughter, and has raced as a professional triathlete since 2010. 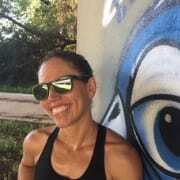 Her racing success includes multiple victories at Austin’s local triathlon championship race – the Rookie Triathlon, a win at Lifetime’s 2018 Cap Tex Tri, and multiple top-10 finishes at Ironman and 70.3 events throughout the last 10 years. JR Creekmore lives and trains in northern Delaware, where he grew up. He teaches high school physics and chemistry and coaches cross country, indoor, and outdoor track. Prior to becoming a teacher, Creekmore spent two years as a professional triathlete, traveling and training with the USA Triathlon National Development Team. 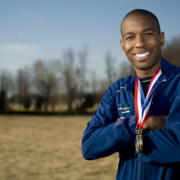 He graduated with a degree in materials science and engineering from the University of Tennessee, where he competed for four years in cross country and track for the Volunteers. 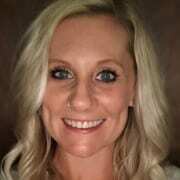 Ericka Mason is a member of the Cowtown Elite team based out of Fort Worth, Texas. She started running in the 5th grade and went on to compete at Jacksonville State University, in Northeast Alabama, in both cross country and track. 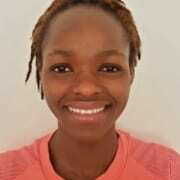 She recently ran a 2:52:22 at the 2018 TCS New York City Marathon. Todd Mickey lives in Midland, Texas. He graduated from Texas Tech University with a degree in Energy Commerce, where he lettered four years in both cross country and track. Mickey was All-Big 12 in both the mile and the 1,000m. This will be his half marathon debut and he’s looking forward to taking on the challenges of the longer road distances. Nicole Roberts is originally from Kettering, England, UK. She has been running for the past 16 years. She has put that experience and passion into her online coaching. 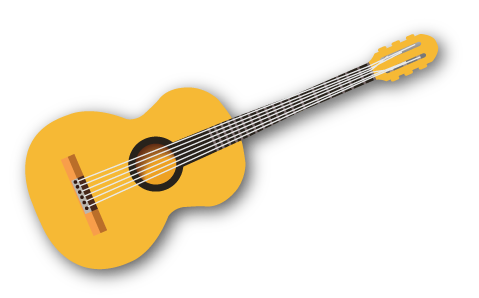 Roberts is fortunate enough to have competed in 11 different countries. 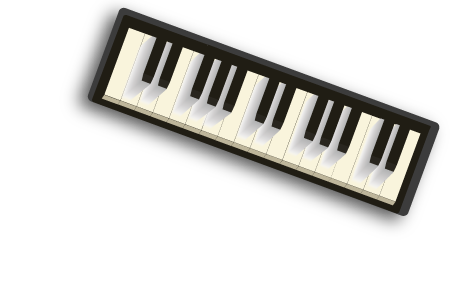 She has represented her home country, England, on three separate occasions. 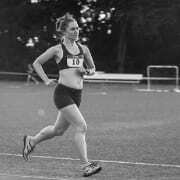 Highlights from her running career include a 6th place finish in the English National Cross Country Championships. Most recently Nicole nabbed a 4th place finish at the British Championships 3000m steeplechase. She is looking forward to building some strength and setting a new PB in Austin! 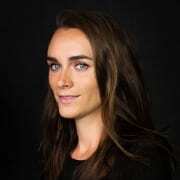 Alana Kopelson is 24 years old and has run competitively for the last two years. She grew up in New Jersey and currently lives in New York City. 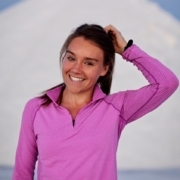 She works in digital advertising and has completed 10 marathons! She has run two sub-3 hours marathons. 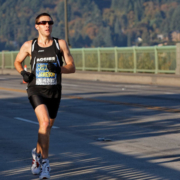 Two big goals: qualify for the Olympic Marathon Trials and run all six major marathons. Kopelson has been vegan for almost nine years and is a huge dog lover. Kate Hails is currently a Ph.D. student in clinical and developmental psychology at the University of Pittsburgh. She discovered a talent for running when she walked on to the Hamilton College cross country team as a non-athletic freshman looking to try a new activity. After moving to Pittsburgh, Hails found herself living just steps away from the incredible urban trail system of Frick Park, where she continues to log most of her mileage. She currently trains with the Pittsburgh Pharaoh Hounds. 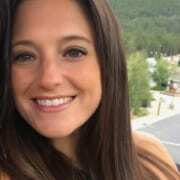 Jessa Victor is a practicing attorney from Madison, Wisconsin. After earning her JD in 2016, she immediately embarked on a 2,100-mile solo trek of the Appalachian Trail, which ignited a passion for ultramarathon and trail racing. Though she has devoted the last two years to ultrarunning, she has narrowed her focus for 2019 to pursuing PRs in both the half marathon and marathon distances. Victor hopes to qualify for her first Olympic Marathon Trials along the way! Ryan Taylor graduated from Shenandoah University with a bachelors in exercise science. He ran cross country and track and field for four years there. During his senior year, he qualified for the DIII National Championships and the USATF Junior National Championship in the 10K. Taylor just started pursuing half marathon/marathon running. 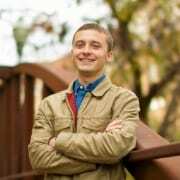 Alex Dantzler, from northwest Houston, is a fourth year at The University of Texas studying chemical engineering. 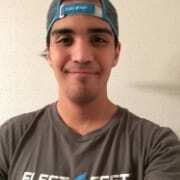 He is president of the Texas Running Club which seeks to build an inclusive and supportive running community to train together, compete at local and national races, and give back time and energy for the betterment of the local Austin community. On the rare occasion I am not studying or training, I enjoy mountain biking, cooking, and camping with friends. Lindsey McDonald lives and trains in Kansas City, Missouri, with her husband. She’s a full-time freelance creative director and enjoys the diversity and freedom working for myself provides. She ran her first marathon at 17 and immediately knew distance running was her thing. McDonald walked on to her college team (Park University) and ended her collegiate career an All-American and school-record holder. She competes for a USATF club team, Kansas City Smoke. McDonald is making Austin Half Marathon her comeback distance race (and hopefully new PR) to kick off 2019. Although Rebecca Marrou loves running, her newest love is triathlon. In her first year of competing as a triathlete, she has qualified and will represent Team USA at ITU Age Group World Championships in Switzerland in August. She finished as the 4th overall female in first 70.3 Ironman. In her first Ironman (this past November) she placed 13th female overall. 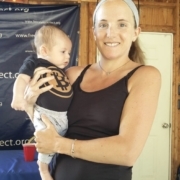 Marrou has the wonderful support of her husband and two little boys that keep pushing her during her races. Tim Rackers graduated from the University of Tulsa in 2016. After graduation, he moved to Boulder, Colorado, to be coached by Australian and 3x Olympian Lee Troop. Outside of running, he works as a renewable energy engineer at STAQ Energy, a company dedicated to sustainable grid-scale energy storage. Julia Vegas is a mom to two kids, Reagan (6) and Jackson (8). She recently went back to work full-time for Hays CISD and is learning to balance training and work. Vegas ran her first marathon in November 2013. She has a marathon PR of 2:58:22 and knows that she will break that in the near future. 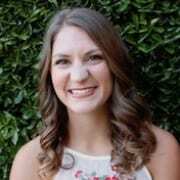 Hattie Schunk attended Texas Tech University (TTU) from 2013-2018 and played soccer (2013-2014) before following her passion for running and joining the cross-country and track team (2014-2018). As a distance runner, she was academic All-Big 12, a Mountain regional qualifier for her entire time on the team, and won her division of the 10K at the 2016 Mt. Sac Relays Distance Invitational. She was TTU’s nominee for NCAA Women of the Year. She’s currently in graduate school at The University of Texas at Austin earning her Ph.D. in chemical engineering. 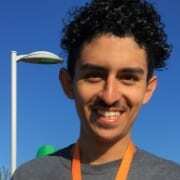 Gonzalo Parra Perez is a student-athlete at the University of San Luis Potosi majoring in mechanical engineering. He discovered his passion for running at the age of 17. While in high school, he medaled in three national championships. As a student-athlete Parra Perez has medaled in three national championships. He also enjoys traveling and spending time with family. Nathan Milles is 30 years young and diving back into the racing world. He took some time off after running in college. He is driven by a constant hunger to be the best version of himself and further give the best version of himself to others. Running provides him with the structure and discipline we all need. The natural world makes him happy and he loves exploring a new path with those who share the curiosity. He hates flying, but loves traveling. A Kea parrot stole his lunch in New Zealand. For Allen Sumrall is currently in law school and earning his Ph.D.in government at the University of Texas at Austin. He also ran for the Longhorns for one year. Getting outside for a run every day keeps him grounded and gives him something else to focus on. His running complements his work and vice versa. After more than a year of dealing with a few small injuries, he’s healthy and ready to race. Sumrall has put together a few months of quality training. He’s excited to try and come close to the Olympic Trials Marathon “B” standard of 64:00. The Austin Half Marathon is the perfect opportunity for me — no travel necessary!